Jackie, Healthy Witness: Invitation for you! 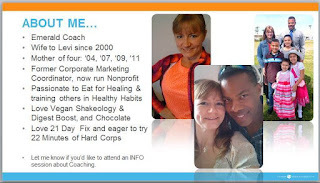 My mentor reminded me I should make sure you all know more about me and that the invitation is always open for you to become a Beachbody Coach! I offer you the opportunity, it's up to you if/when you do it. Life was good, but I wanted to continue to help others in health while having the ability to help close the gap on a few bills (where we are short of monthly donations/income). 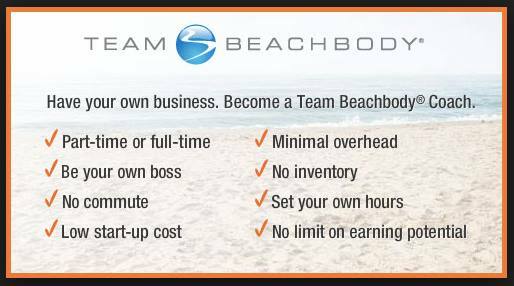 So I joined Beachbody as a coach after 2 years of Wellness coaching! I originally joined for increased accountability network, quality fitness resources, and for the potential income. It's absolutely changed my life increasing my confidence, teaching me to succeed not only in my health journey and life, while helping me get out of a Stay-At-Home-Mom slump! Chose to work your business online, in person, or both. Share your your story towards health with no pressure to be a professional or have reached your goal yet. Work your own hours; days, nights, weekends, pick a day! Afford to focus on it more as it grows and transition from part time self-employed to full time self-employed. This opportunity is flexible and works for all people types. I'd love to invite you to a no strings attached INFORMATION SESSION on the "Coach Opportunity", so comment "Want Info" below (or message me) to see what day/time is best for you. 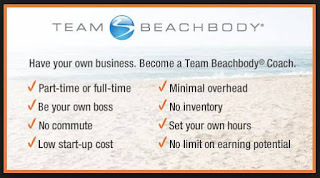 Legal Jargon: Please note* Beachbody does not guarantee any level of success or income from the Team Beachbody Coach Opportunity. Each Coach’s income depends on his or her own efforts, diligence, and skill. See our Statement of Independent Coach Earnings located in the Coach Online Office for the most recent information on our Coaches’ actual incomes.